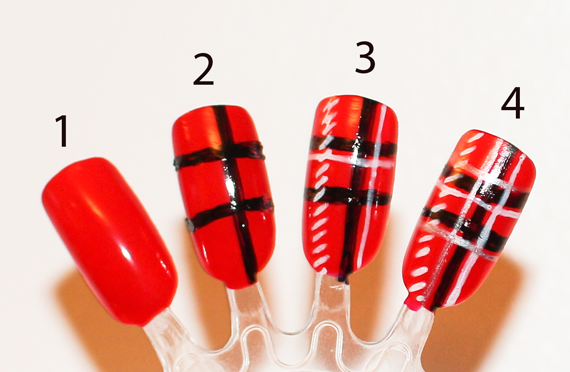 This Tartan nail art tutorial shows the easy steps to create really effective tartan pattern effect. I started with Sally Hansen Hard as Nails Nail Varnish Cardinal 55 for the undercoat. To create the black, white and silver lines I used Barry M Nail Art Pens. These are great for adding small details accurately! Vary the lines thicknesses and add dashed diagonal lines for more detail and a better effect. I love these colours for the Christmas season but they can be toned down or varied for a more subtle effect.